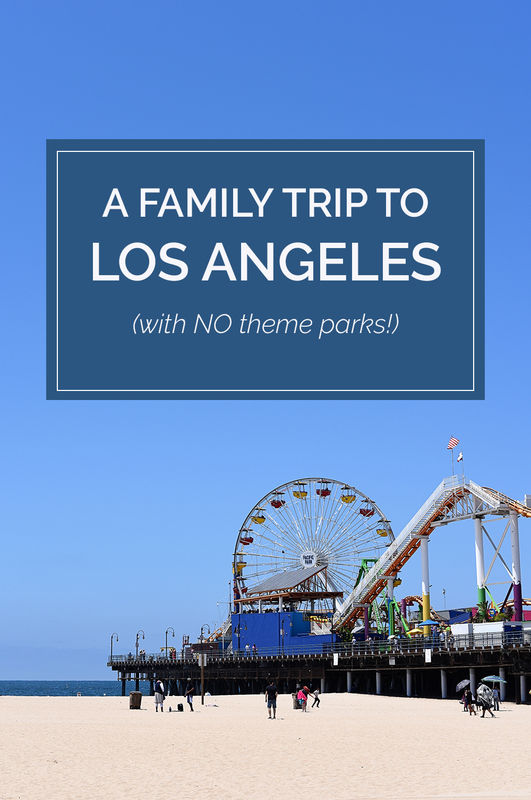 A Family Trip to LA (with NO theme parks!) - Real life, on purpose. 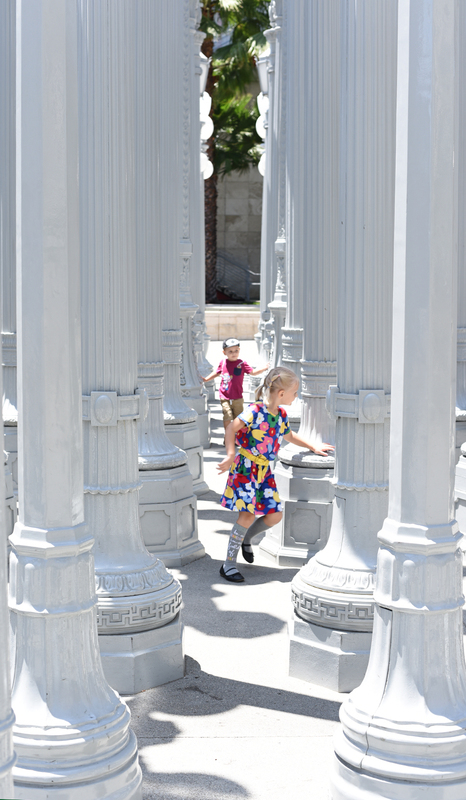 We spent a few days in Los Angeles, mostly the west LA area, with our three kids over summer break. It was so nice to get out of the heat, and there were plenty of things to keep us busy without feeling pressed to Do All The Things. And I know. Most people take their kids to the Los Angeles area to hit up Disneyland or Universal Studios or any number of other theme parks. But y’all, there are so many other things to do. We barely even scratched the surface in our three days there. Looks like we’ll have to go back. OH DARN. Here are some of the highlights from our trip, including details for visiting specific places. First of all, this place is FREE. Second of all, it’s gorgeous, and the view of LA can’t be beat. Third of all, the are collection is quite impressive. 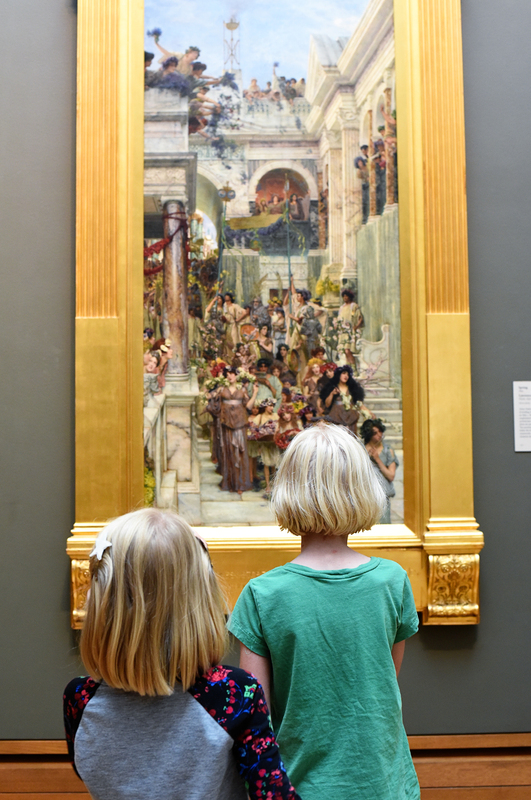 While we were there, they had exhibits on ancient Egypt, the history of fashion, and Eastern religious artwork, alongside the expected collection of European paintings and modern sculpture. 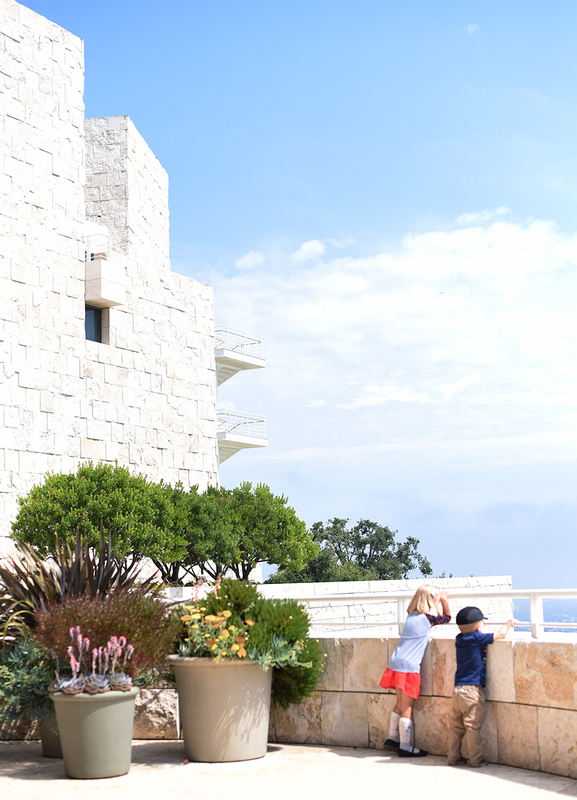 TIPS FOR VISITING: you’ll park in the garage and take a tram up to the Getty itself. Plan to walk a lot; the museum is spread out over several semi-detached buildings with lots of stairs (or elevators if you need wheelchair or stroller accessiblity). 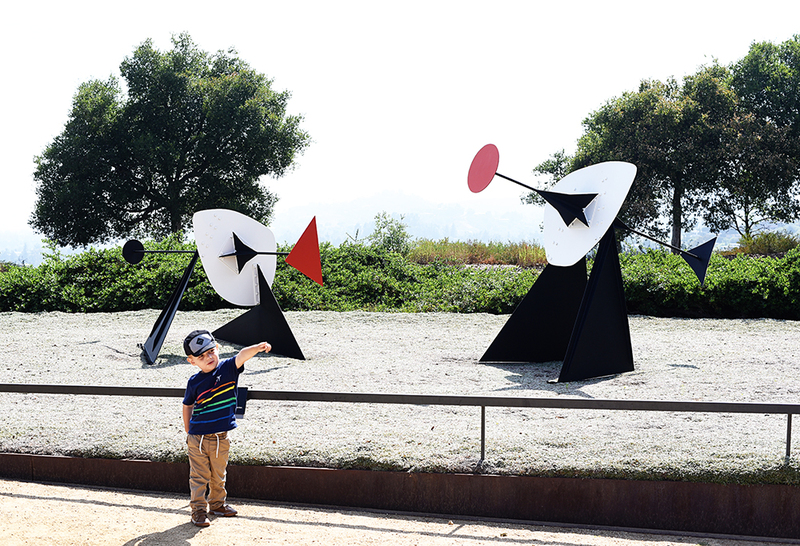 The gardens are lovely and include scattered sculptures, which is fun. It gets hot up there in summer, so bring water or plan to buy an ice cream at the little outdoor cafe. See their website for hours and other details. 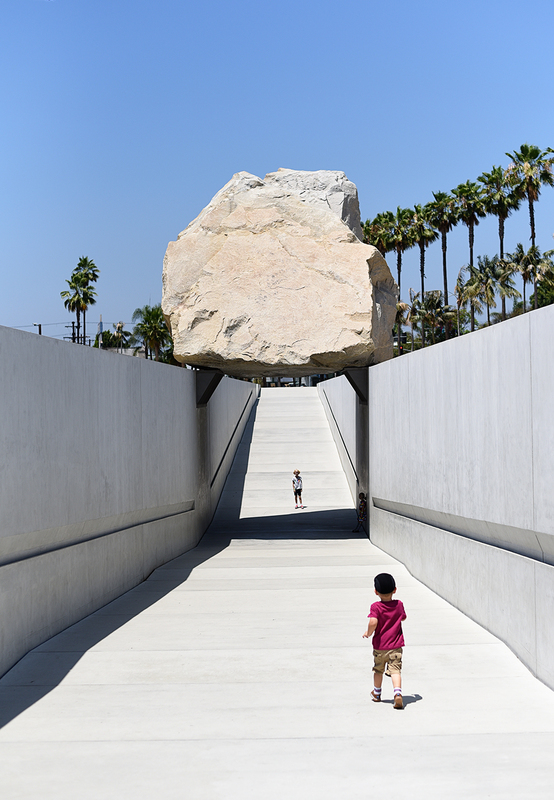 The Los Angeles County Museum of Art is enormous and has an incredible collection. It’s right downtown and is more of a complex than a single building. We kept thinking we’d seen it all, then would discover a new place to poke around. While we were there, we saw art from ancient Teotihuacan, 20th century Iran, and modern day Korea, as well as a fun exhibit on optics. (The kids really enjoyed the 3D glasses!) I could’ve easily spent an entire day there, but we limited ourselves to a few hours. Then we wrapped up by stopping by the children’s art studio so the kids could work off some creative energy. 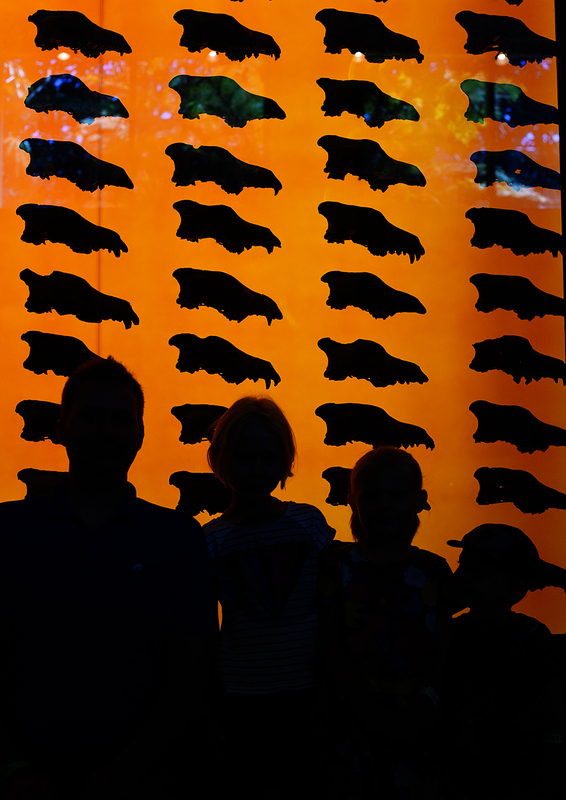 TIPS FOR VISITING: park underground or at the nearby Natural History Museum. While there are usually food trucks around, we ate at the restaurant just outside the museum because we all needed to really sit and rest. It was pricey but worth it for the pause. See the LACMA website for more info. Hot and stinky (because: tar + oil + mostly outdoors) but completely fascinating, I think this is a must-see place for any kid interested in paleontology. It’s one of very few active dig sites you can visit. 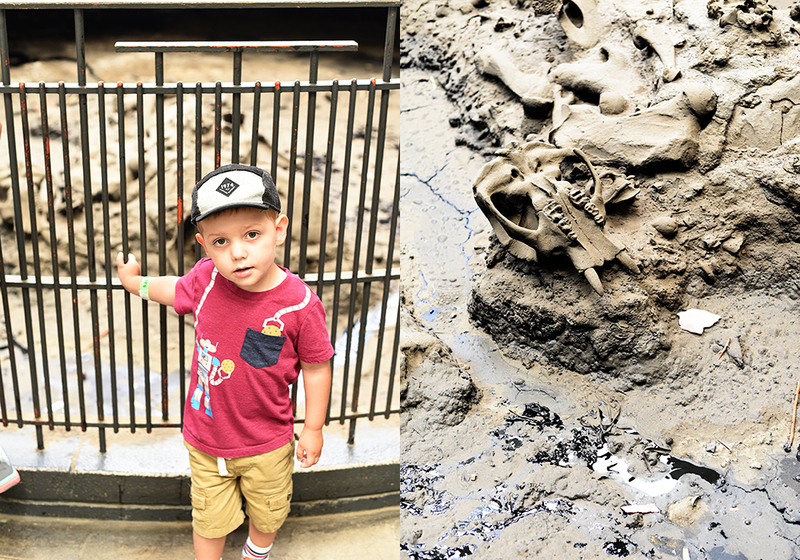 There are scientists working on fossils in the museum itself, and open excavation sites all over the grounds. Granted, it’s not cheap. But it was a nice break from all the “fine art” we’d been checking out, and the kids loved seeing all the animal bones. 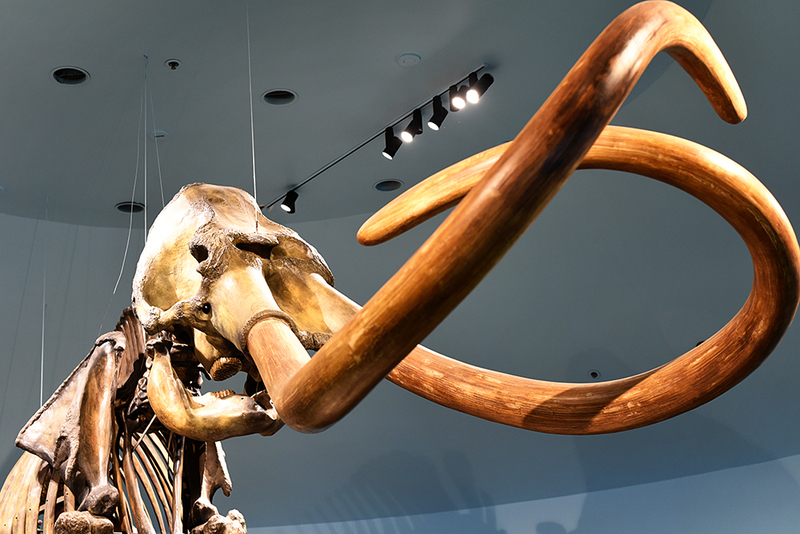 TIPS FOR VISITING: summer isn’t really an ideal time to visit, because you do a lot of walking around outside and the tar pits themselves smell terrible. Bring water, wear sunscreen, and find shade when you can. 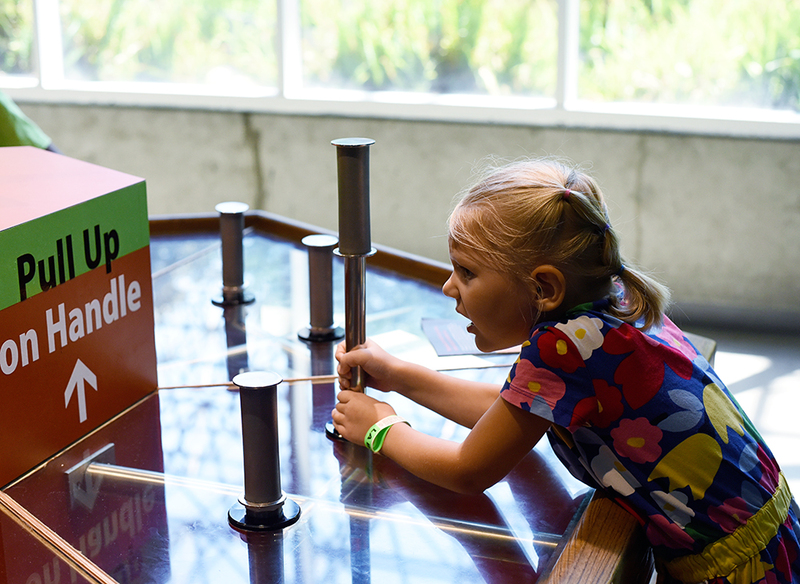 Be sure to test your strength on this exhibit and see just how hard it would be to get out of the tar! See the La Brea website for hours and admission etc. This was David’s one request for the whole trip. Since you have to be at least 10 years old to do their vault tour, we got a sitter for the kids and went for an early date night. Guys. I’ll be honest: I did not have high hopes for this. I could not care less about cars. But that vault tour? Was AMAZING. Worth every penny, worth standing in a warm parking garage for a couple hours, just so worth all of it. In fact, it’s kind of a waste of time to visit the museum if you don’t do a vault tour. So take my advice: go all out if you go at all. TIPS FOR VISITING: buy tickets in advance for the last vault tour of the day, and hydrate well before you go. You can’t bring food or drink or even large bags in, but you’ll have the museum to yourself afterward. 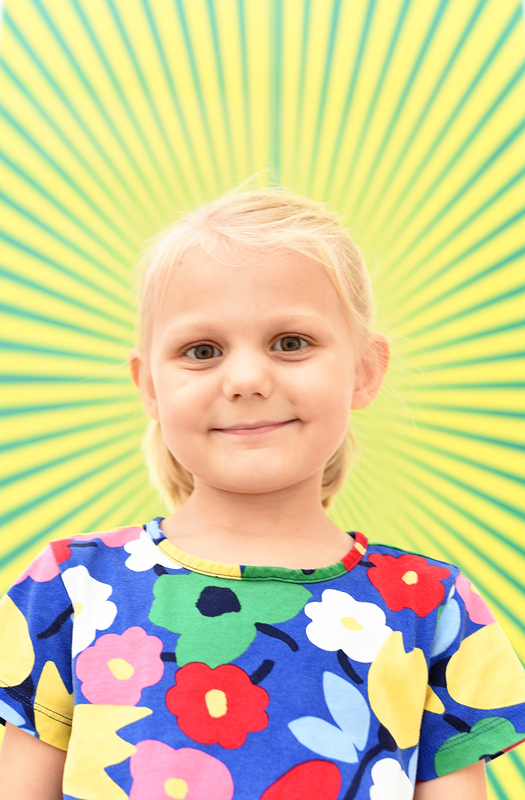 I hope you get Michaela as your docent; she did such an excellent job. Reserve tickets and learn more at their website. Okay, these are completely different experiences, but I’ll just lump them together. Venice is a fishing pier. 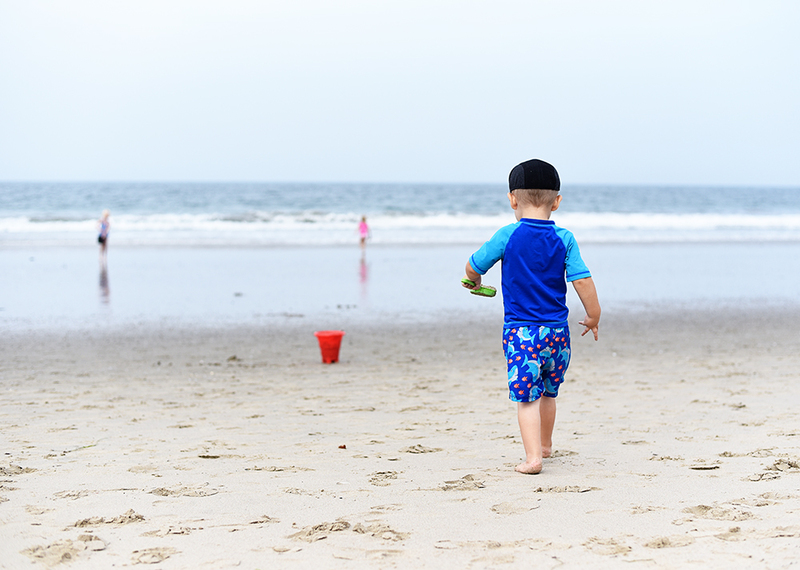 The kids loved seeing all the fisherfolk out with their poles and buckets of bait and strung up catches-of-the-day. It’s smelly but still a fun evening stroll. 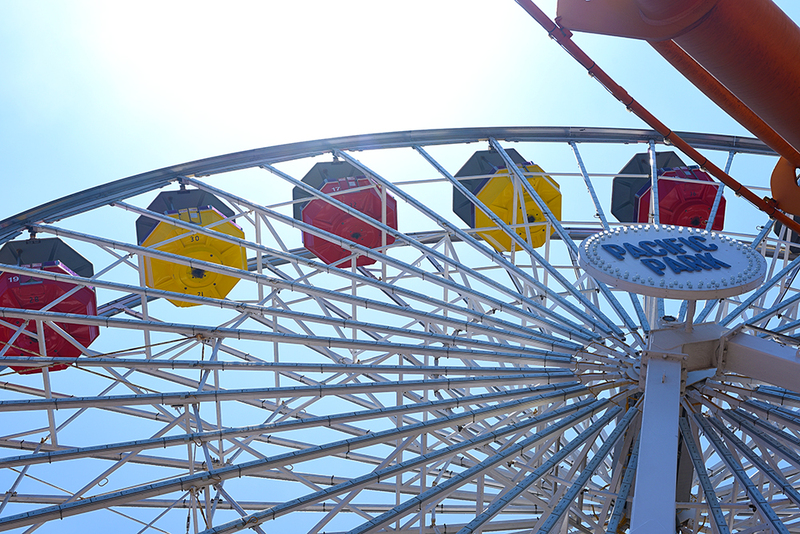 Santa Monica, on the other hand, has a crowded crazy amusement park on it, if that’s your thing. Margot really wanted to go on the Ferris wheel, so we did. Other than that, it’s good for people watching if you don’t mind a crowd. TIPS FOR VISITING: keep an eye out for bikes and scooters; those homies are crazy. And if you go to Venice, stop in at C&O Trattoria and get some garlic knots. Yummmmm. We had two well-known ice cream spots within a mile of our AirBnB: Salt + Straw and Jeni’s Splendid Ice Creams. We took the kids to Jeni’s and went to S+S after our car museum date. Both totally lived up to the hype. And there are locations all over LA, so make a point of finding at least one! TIPS FOR VISITING: try as many flavors as you want! Both places are known for their innovative flavor combinations, so take advantage of it! Mila tried Supermoon (vanilla marshmallow + candied violet) at Jeni’s and it was remarkably delicious. And I had Avocado Oaxacan Fudge at Salt + Straw that was almost savory but in a good way. Be brave! Try something new! Even just driving around Venice Beach is entertaining. It’s rare to see a building that doesn’t have some kind of colorful mural! I wished I had time to just wander and take pictures of all the street art. The shops downtown are adorable, and the people watching ain’t bad either. 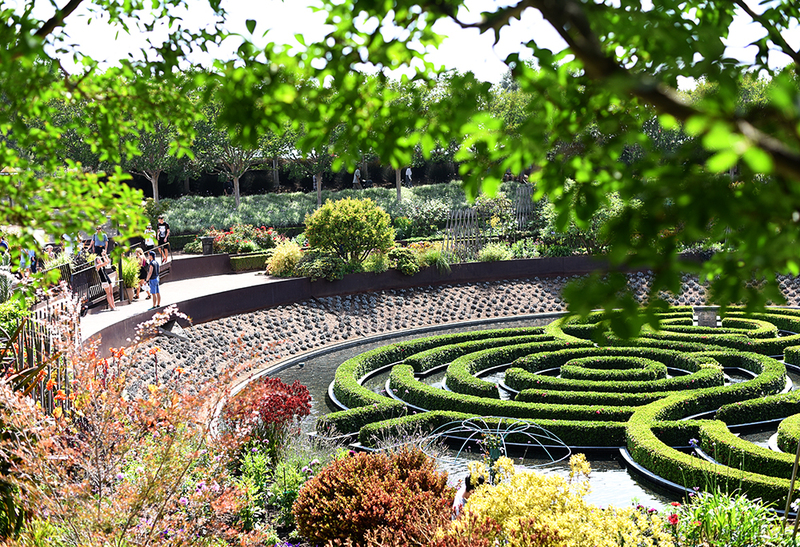 TIPS FOR VISITING: parking is a nightmare, but it’s a pretty walkable area. There are also little scooters you can rent if you’re braver than we are. Ha! OBVIOUSLY. 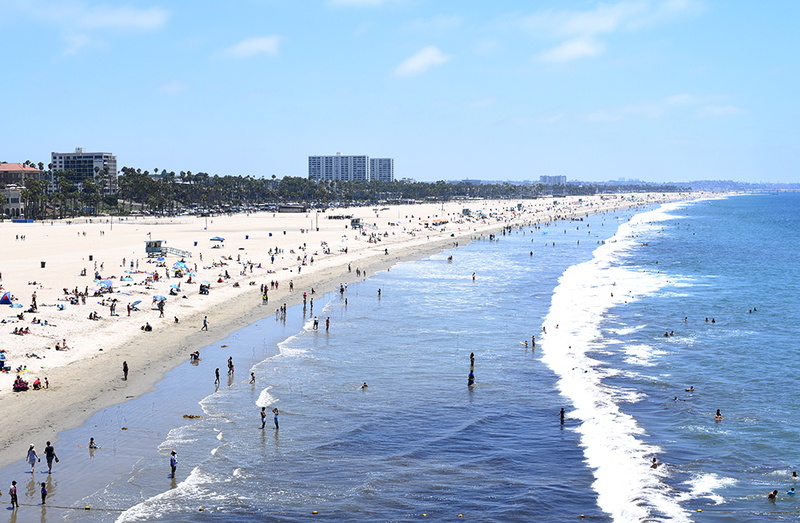 In my mind, there’s really no point in visiting southern California if you aren’t going to go to the beach. 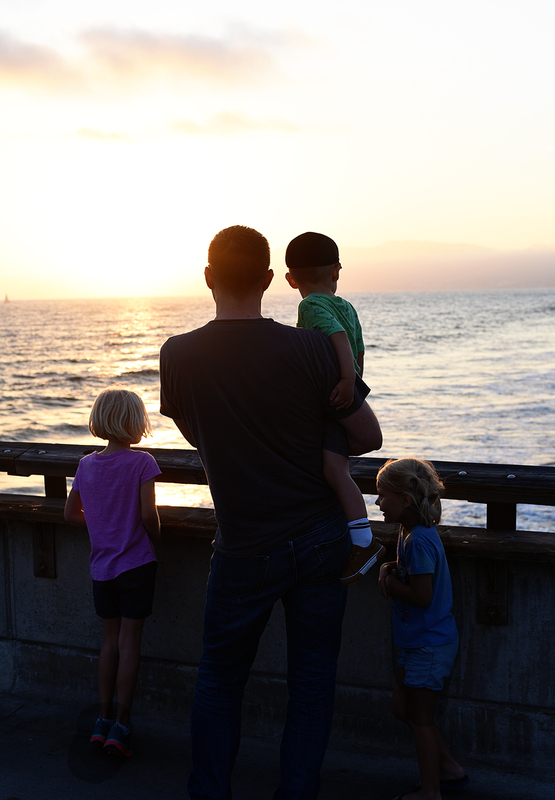 We had great luck at a couple different beaches between the Venice and Santa Monica piers. 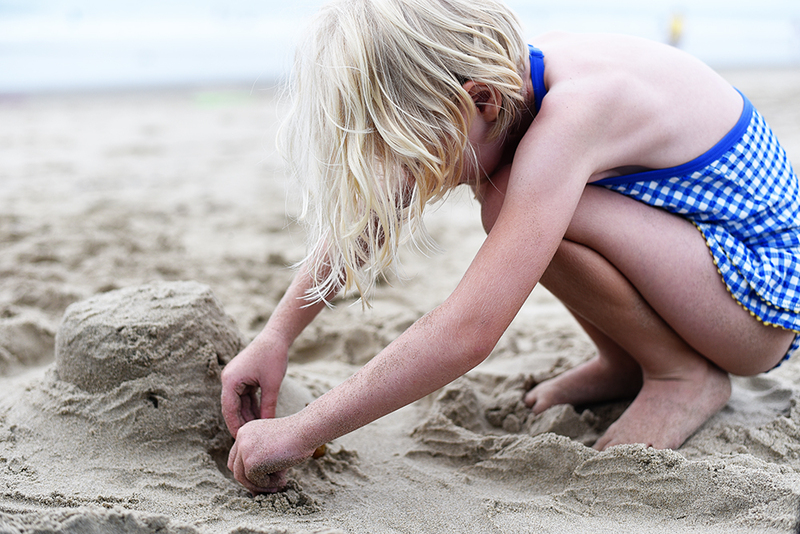 Lots of sand crabs for Ryan to love terrorize, lots of shells for Mila to collect, and surprisingly few other people. Granted, we went on weekdays, but still. It was so lovely to not feel crowded by other beach-goers. Plus the waves are super chill. 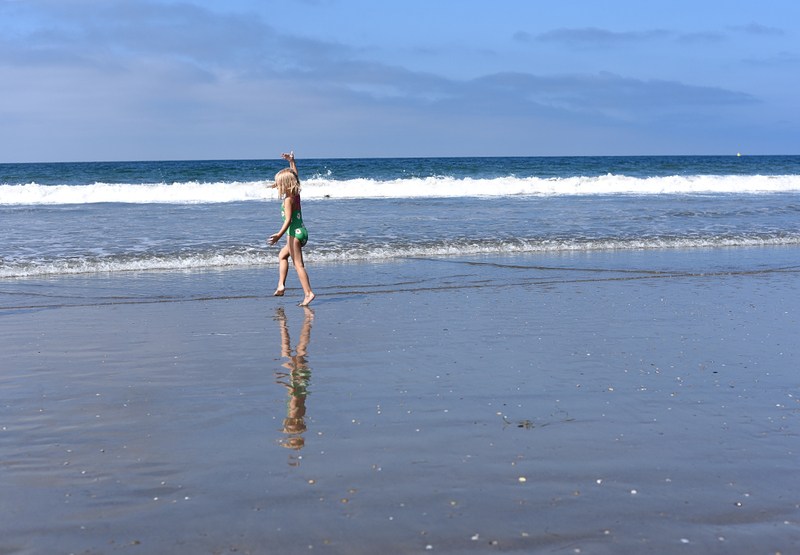 I expected surfing waves, but they were so small I never worried about kids getting knocked down or dragged out to sea. TIPS FOR GOING: Most parking lots cost money…except when they don’t. Plan to pay but don’t insist if you get waved through on a slow beach day. Just go. And while you don’t have to swim if you don’t want to, I have never met anyone who regretted spending time by the ocean. I’d love to know: what are your favorite (non-theme-park) things to do in Los Angeles?